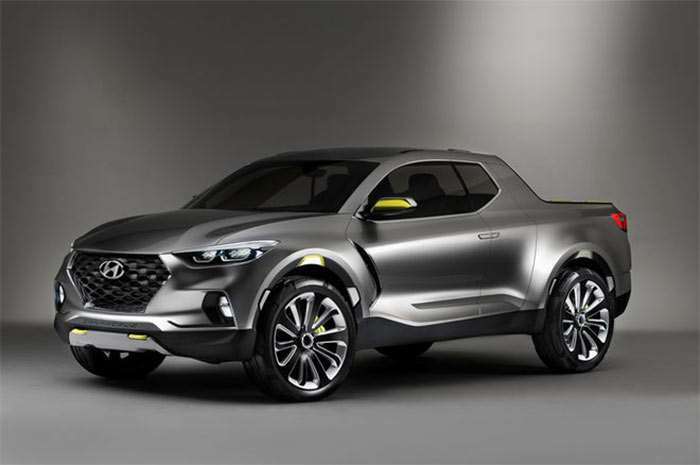 If you like the looks of that Hyundai Santa Cruz concept truck, you will be glad to hear this. Hyundai has announced that a truck based on that concept will come to dealerships in the US. This is good news for fans of smaller trucks wanting more options in the segment. Granted, the Hyundai truck isn’t expected to be a “real” truck with lots of hauling or towing capacity. The move comes as more and more Americans eschew cars in favor of SUVs and trucks. Hyundai does ok on the SUV front, but it has nothing currently to offer truck shoppers. Hyundai figures that your typical mid-size truck is more than most buyers need. The Hyundai offering will be about utility and style more than off-roading, towing, or hauling capacity. I hope it has at least some towing capacity, a truck that can’t even haul a small camper or a couple dirt bikes would be pretty worthless to most.